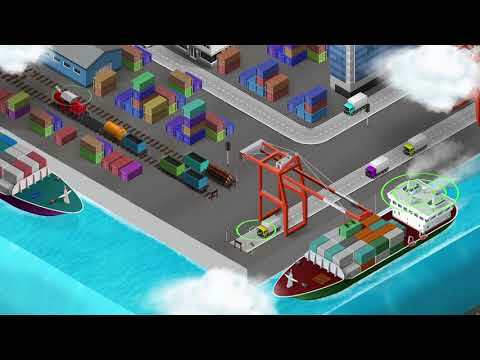 BitNautic is a decentralized platform, based on the Ethereum Blockchain, for matching demand and supply of shipping services, for all the industry stakeholders: producers of goods, ship owners, charterers, brokers, importers and exporters. BitNautic comes with distinctive features like AI (Artificial Intelligence) based booking system, a real-time tracking of ships and cargo, and a wholesale e-commerce platform. Today, shipping industry accounts of around 90% of the value of the World Trade. Shipping is the life blood of the global economy. Without shipping, intercontinental trade, the bulk transport of raw materials, and the import/export of affordable food and manufactured goods would simply not be possible. This hugely valuable industry has been troubled for years by challenges like overcapacity, highly variable freight rates, security threats and increasing regulations. On the other hand, local producers, charterers and shippers, especially the ones operating from developing countries, are facing several problems when it comes to shipping, like the high number of intermediaries, the expensive freight rates, the lack of transparency, the limited number of sea lines, and the difficulties in shipping small cargo. It’s a well-known fact in the industry that global shipping has to increase efficiency, improve processes and perform a fundamental digital transformation, to ensure future profitability for the ship owners, and to provide more opportunities for the charterers and producers all over the world. To solve the industry critical problems, we are creating BitNautic, a distributed platform, based on the Ethereum Blockchain, for matching demand and supply of shipping services, for all the industry stakeholders: producers of goods, ship owners, charterers, brokers, importers and exporters. In our vision BitNautic contribution to the digitalization and decentralization of the shipping industry, will contribute to the growth of developing countries, in an open market and free trade, increasing international trade and cooperation, public-private partnerships within the industry, knowledge sharing, and bridging the gap between government regulators and the shipping industry. BitNautic has started his operations with a focus on the emerging countries of the Africa continent. BitNautic development and expansion will be funded with the Crowdsale of the BitNautic Token BTNT, used to access the BitNautic platform. Very strong team and advisory board. Good idea and for real life! Great team and good advisors. Concept is amazing and relevant. Whitepaper is detailed. Team has good vibe and good community. they have created some good partnerships. Best of luck team. even if the company make only 1% of that describe in WP it will be a great product. Good team and vision. Waiting for MVP. Finally we are seeing the project from shipping industry. All the best. The multi-language website is impressive and makes use of the visual fascination of shipping. A lot of thought has gone into the UX and the layout is clear and engaging. The vision is ‘decentralised shipping and cargo in one place’ and includes wholesale ecommerce, which is an interesting dimension. The opportunity of using blockchain tech in this sector was highlighted by Maersk in March who publicly announced their partnership with IBM, who on the website is stated as a partner of BitNautic. Given that Maersk is the world’s largest shipping company, it will be interesting to see if they are supportive of BitNautic or see BitNautic as an ‘independent alternative’. The partners listed on the website are impressive and by stating upfront that Bancor will be used as an exchange suggests confidence. There’s a lot to like about the proposition. Evidence of more hands-on experience in the maritime and shipping sector would be good to see, although it’s understood that sometimes it takes outsiders to boldly pick out the flaws in an existing system. Great concept and perfect use-case for blockchain technology. On the other hand, they seem to have solid parternships and contacts in the relevant industries, which can prove vital. Hope to see a MVP soon! Team is a bit poor - the idea is viable, but there is no product yet. If I was them I would at least develop an MVP before launching the ICO. Pre ICO (1 May - 31 May): 30% Bonus. MAIN-ICO (1 June - 30 July): The Bonus starts from 34% (11 July) and decreases of 0.4% every day until it reaches 10% in the last week of the ICO.